A Shin Hikari At Royal Ascot: Best Horse In The World? According to both the Longines World's Best Racehorse Rankings and the Timeform ratings, a Japanese-trained horse is currently the best horse in the world. 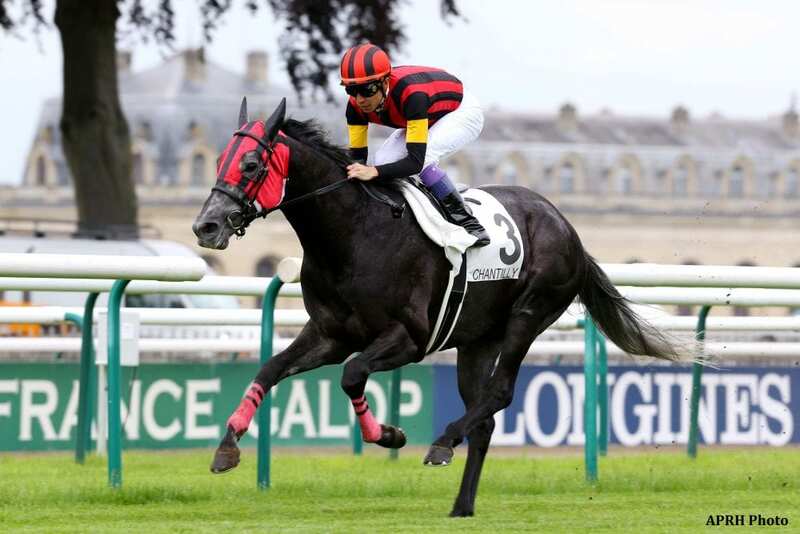 His name is A Shin Hikari, and his most recent performance in the G1 Prix d'Ispahan at Chantilly saw him win against proven rivals by a 10-length margin. The result ranks him a 129 on the Longines scale, three pounds above California Chrome and Winx. John Gilmore of the Thoroughbred Racing Commentary caught up with the colt's connections in advance of the 5-year-old son of Deep Impact's Royal Ascot try this Wednesday. Wednesday's Prince of Wales's Stakes, the richest of the Royal Ascot meeting, should prove a major testing ground for A Shin Hikari. He will face a relatively small field, but it includes names like The Grey Gatsby and Breeders' Cup champion Found. Post time for the Group 1 Prince of Wales's is 11:20 AM Eastern Standard Time. Read more at the Thoroughbred Racing Commentary. This entry was posted in Racing and tagged A Shin Hikari, chantilly, found, longines world's best racehorse rankings, masonori sakaguchi, prince of wales's stakes, prix d'ispahan, Royal Ascot, the grey gatsby by Paulick Report Staff. Bookmark the permalink.